With an extra day of fun, relaxation and exploration, Memorial Day is one of the most action-packed weekends of the year. Tomorrow, attend a Disc Golf Pro Tour tournament and festival in McLaren Park, a new Gateway to the Bayview art installation at Islais Creek, take a satirical look at the Patty Hearst era at the Yerba Buena Center for the Arts, or attend a bring your own game night at the city's only cat cafe. 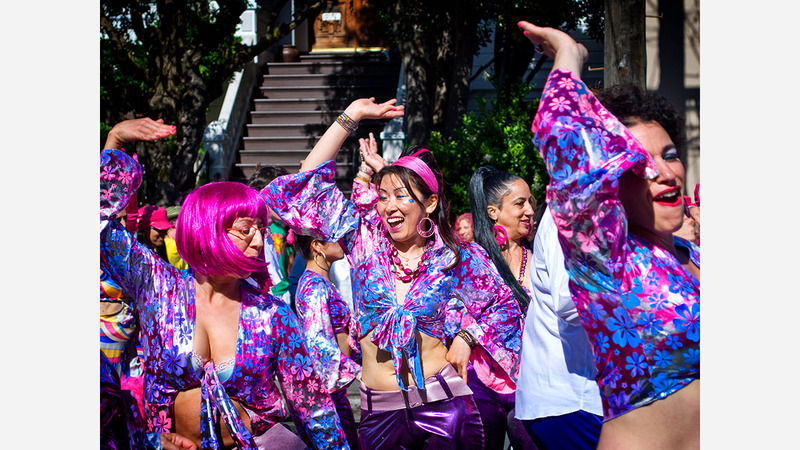 Kick it up a notch on Saturday with the start of the two-day Carnaval festival in the Mission, or head to Treasure Fest, which is celebrating its seventh anniversary with free totes, a happy hour and other great deals. Continue the fun on Sunday with a yoga and mimosas brunch in Mission Bay, an afternoon of free arcade game play in SoMa and a free concert of American music that honors veterans in Golden Gate Park. Lastly, enjoy the holiday on Monday with the annual Memorial Day commemoration and parade in the Presidio, holiday brunch options at Ocean Beach or Cow Hollow, and holiday barbecues on Treasure Island and in the Mission.